CARLSBAD–More than 100 students from the West Coast were honored as Carson Scholars at a banquet on Saturday at the Omni La Costa Resort in Carlsbad. The scholarship recipients were recognized at the 9th annual West Coast Carson Scholars Fund awards for their high academic achievements and commitment to community service. About 117 students will receive a $1,000 college scholarship toward their college education and a recognition package. 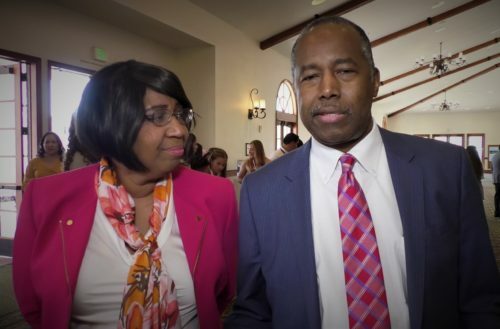 Dr. Ben Carson and his wife Candy co-founded the national scholarship fund to help send students to college. In addition to honoring the scholars, the Carson Scholars Fund presented Dr. Bennet Omalu with the Leadership Award for his innovative spirit. Dr. Omalu is known for identifying Chronic Traumatic Encephalopathy (CTE) in football players and athletes in high contact sports. CSF co-founders, Dr. and Mrs. Ben Carson, are scheduled to be in attendance. Across the nation, 505 students are receiving the designation of 2019 Carson Scholars. In addition to this outstanding group, 878 students earned the title of 2019 Recognized Scholars. These students continue to exhibit the qualities of Carson Scholars by maintaining academic excellence and humanitarianism, and they will be honored with a recognition package and an invitation to an awards banquet. Each year the CSF recognizes a select group of high achieving students in grades 4 to 11 who demonstrate outstanding academic achievement (at least a 3.75 GPA) and humanitarian qualities.